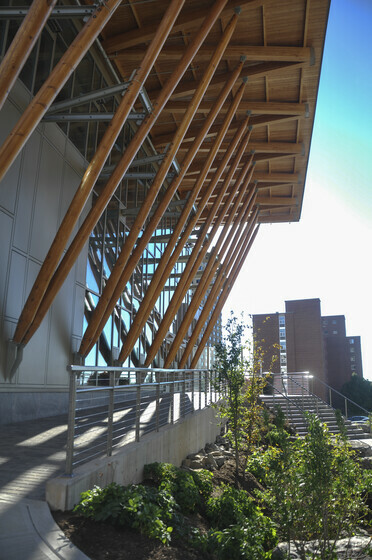 Serving as a new social center on campus, and a representation of the school’s long-standing environmental mission, the LEED Platinum Gateway building represents a significant step towards achievement of SUNY ESF’s campus wide carbon neutral goal. 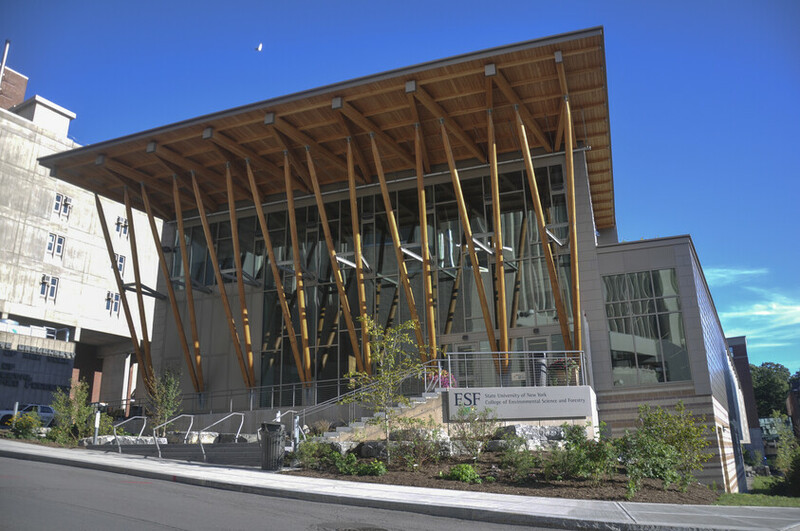 Situated in a heating dominated climate, the sustainable strategy for this Gateway Building was driven by a need for energy efficient heating and super insulation. Atelier Ten worked with the team to conduct a combined heat and power plant study that analyzed and compared economic and environmental benefits of different options. 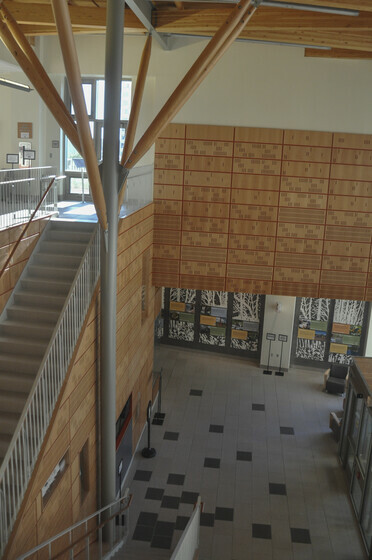 The resulting design incorporates an on-site biomass boiler which will provide steam and electricity to four other buildings on campus, improving campus energy use by 25%. The boiler itself uses processed combustible wood and waste pellets that contribute no carbon emissions from fossil fuels to the global environment. 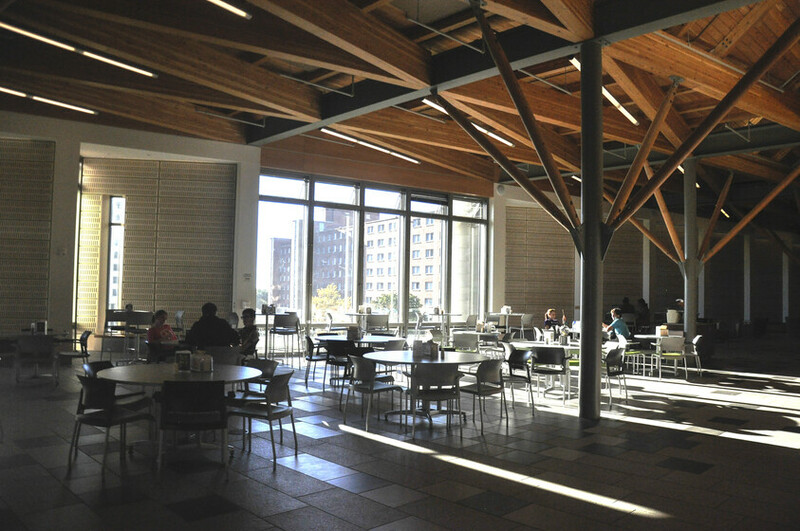 The building further reduces its energy demand with the incorporation of a 100KW photovoltaic array, and is oriented to allow operable windows to optimize daylight and natural ventilation opportunities.